Dreaming about a little African girl I don’t have yet. This morning just before the song birds outside my window separated me from my sleep, I had been dreaming about our daughter, whom we are trying to adopt from Africa. She and I were in the very beginning stages of getting to know eachother in this dream. We were alone in a quiet room- not our home here. 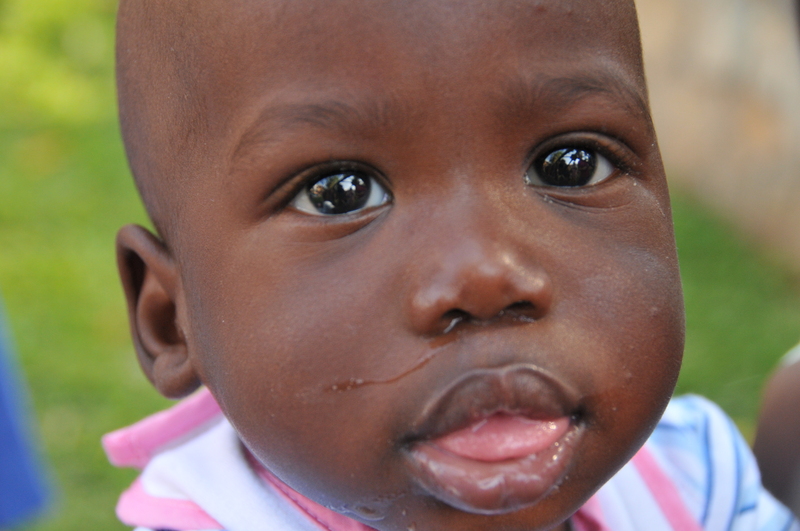 I think we were in Uganda just after she was delivered to our care. The space wasn’t very pretty or comfortable but it didn’t matter because finally I was with her. 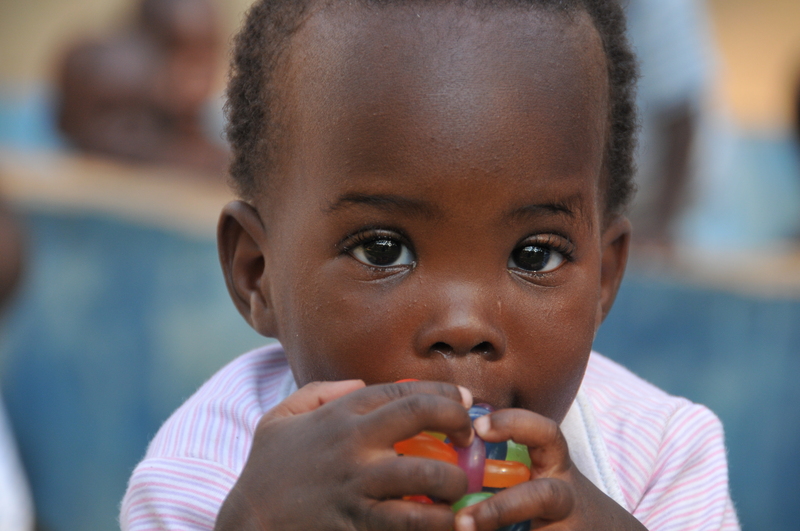 This little one is an orphan in Uganda at the Watoto Bulrushes orphanage. She was a toddler and plump as they come. Her fuzzy hair was arranged in randomly spaced twists tied with bright fasteners. The clothes I had bought for her were tight and stretched across her roundness. We were on the floor playing together. She rolled around, limbs stretching in all directions, her fingers grasped for small detailed objects I had brought from home to delight her. They captured her interest, and she concentrated fiercely on them as she manipulated their abilities. I was watching her and waiting for her invitation to join her play, which she did with a twinkle in her eye and an inviting grin. She didn’t have words yet, and there were certainly very few English words in her mind. But the eyes communicate the soul without words, and indeed she was telling me with the sparkle there that she was thinking she might trust me to be close to her. I was honored so I inched forward, not wanting to get any closer to her heart than she was ready for. Another orphan at the Watoto Bulrushes. When I awoke from this dream I can’t say it felt real like I could have touched her, or that I held her, but it felt warm like a cookie out of the oven that is waiting to be devoured. I am waiting to have my heart devoured by this little girl and I’m willing to let her have full access to it. I know from this dream it won’t be scary, I won’t feel vulnerable. It is so easy to surrender the whole heart to a child. They are the most trustworthy with something so valuable. At the end of this dream I knew we were already inseparable. This was the first time I had a dream about her. I am so thankful for it because the waiting isn’t a joy ride, it is tedious and lonely. If I can dream about her at night, well, it will make the waiting sweeter. It also shows me where my unconscious mind is with this whole adoption and what a reassurance to know I am ready to love this much again. I pray you may be united with your daughter very very soon! She will be prescious and so very lucky to have you and Craig for their mama and daddy plus her four brothers and of course Nana and Great Grandma Ginnie. My prayer is that your dream comes true very soon!